Once upon a time, way back in 1992, there were two young students at the University of Colorado named Trey Parker and Matt Stone. They collaborated on a crudely done short film called “Jesus vs. Frosty” which caught the eye of FOX exec Brian Graden in 1995. He hired the two lads to create another animated short that he could send to friends as a video Christmas greeting. Parker and Stone came up with another film called “Jesus vs. Santa” (I’m sensing a theme here) that featured a martial arts battle between the Christmas rivals, followed by a subsequent mutual meeting of the minds over the true meaning of the holiday. This video was shared widely on the Internet and led to the creation of a series on Comedy Central. The first season of South Park struck a level of vulgarity – and originality – that made the controversy surrounding the early days of the Simpsons positively pale in comparison. The Orlando Sentinel described the show as “sophomoric, gross, and unfunny,” and while many would readily agree with the first two assessments, by the time the series aired its eighth episode its viewership and ratings had tripled. South Park was already the most popular series in Comedy Central’s history at that point, and is credited with being a huge reason for the channel’s success. South Park has been over-the-top from the get-go, but they don’t play favorites when picking targets for their biting and often extremely clever satire. Trey Parker and Matt Stone describe themselves as “equal opportunity offenders,” and usually poke fun at a topic from all angles during an episode as opposed to championing one side of an issue. Conservatives and liberals are made to look equally as asinine – and hilarious. 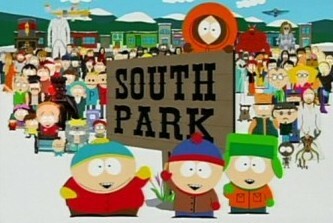 Of course, not everyone finds South Park’s smashing of taboos and shock humor as charming and refreshing as others. The conservative watchdog group Parents Television Council consistently complains about the show’s supposed tastelessness… which some may argue is a very subjective term. Looks like Matt and Trey got a good return on their initial investment of some construction paper to put together that original cartoon, not to mention using it as a platform to branch out into areas such as theater with their nine time Tony Award winning The Book of Mormon. What Star of a TV Series was Written Out of the Show’s Final Episode? Trey Parker’s dad’s name is Randy Parker and, like Randy Marsh, he’s a geologist. Sharon Parker is an insurance broker, unlike Sharon Marsh, who is a receptionist at Tom’s Rhinoplasty. In addition to that, Shelley Marsh on South Park is also named after Trey Parker’s older sister Shelley. Matt Stone’s mother, Sheila Stone, is also Jewish, much like Sheila Broflovski. The last name Broflovoski is derived from Sheila Stone’s maiden name, Broslovski, which was later changed to Belasco when her family immigrated to the United States. Stone’s father, Gerald Whitney Stone, is an economics professor, unlike Gerald Broflovski, who is a lawyer. Stone also has a sister named Rachel, but creating a character for her in the Broflovski South Park family was ruled out because they felt Stan and Kyle were already too much alike. Instead, they gave Kyle an adopted younger brother, Ike. Matt Stone holds a dual major degree in mathematics and film from the University of Colorado at Boulder. Trey Parker majored in music at Berklee College of Music and later at the University of Colorado. I can’t stand South Park. That is all.